I found out my son was transgender on an otherwise ordinary Saturday morning. There I was going about my business, doing all the same things I do every morning when the life announcement post with the little flag caught my eye as I was about to close Facebook. I read the post, re-read it, then read it again. While I understood what all the words meant, individually, I couldn’t understand what they meant together, in the context of the post my child had made and how they applied to him specifically. After a LOT of internal questioning and dialogue, and many Google searches for the answers I didn’t appear to have, I finally sorted out what my child was trying to tell me. For some undetermined amount of time (he didn’t say in that post, I would learn it later) my child had been concealing the fact that he was presenting as a gender he did not identify as, and it was time for him to end the charade. He was coming out as his true self and this was his way of letting the rest of us know. At that time, I thought I knew what the word transgender meant. After all, I had watched The Birdcage and Too Wong Foo, Thanks For Everything Julie Newmar. My own ignorance embarrasses me now. Those films feature drag queens, which is a performance-based identification. I could dress like a drag king and go perform on stage, but I would still identify as a woman. You can view Courtney Act’s explanation of the difference here. It’s brilliant. I learned that being transgender is about gender identity. 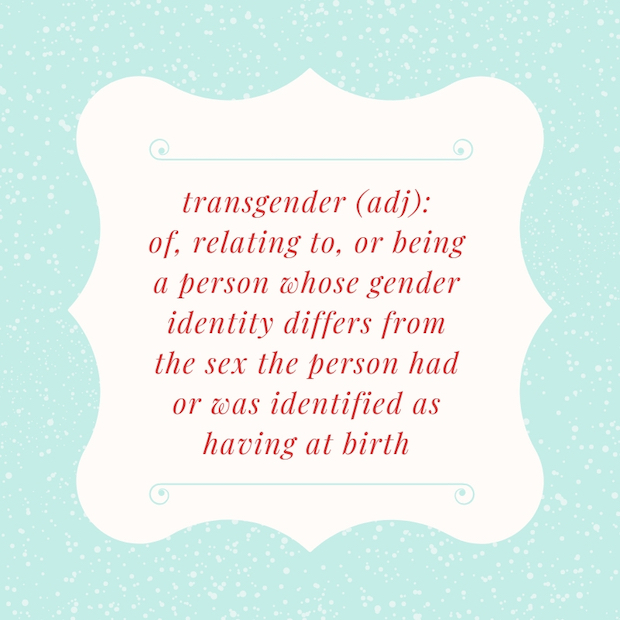 Someone who is transgender does not identify with the gender that they have been assigned (usually at birth). So my son was assigned female at birth and spent nineteen and a half years presenting that way. From the time he was twelve, he knew that something wasn’t quite right about that fact, but he didn’t know just what it was. It’s very likely that he knew longer than that, but didn’t understand that there was anything different about himself that was making him uncomfortable. 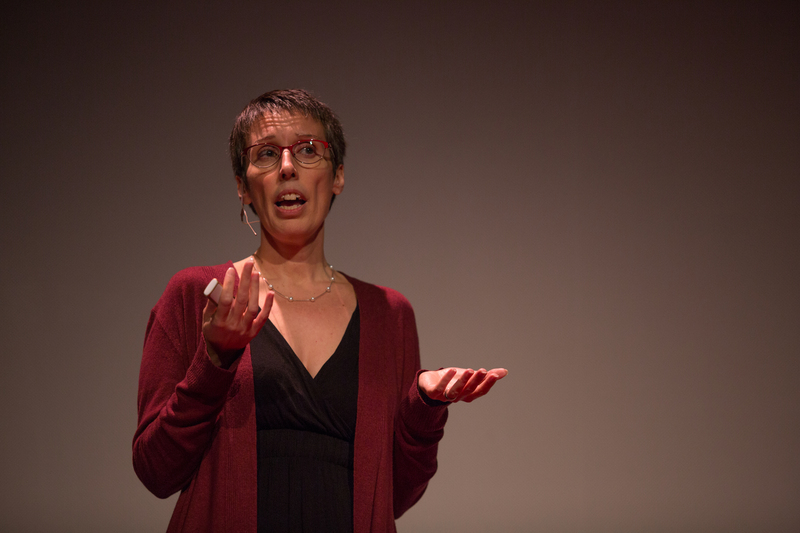 Once he had the knowledge and language to understand his gender identity, he chose to continue presenting as a female because of reasons that made sense to him. It’s a very personal choice for someone to come out publicly as transgender. They need to consider their personal safety, the environment they are living in, and the support system they have (or don’t have) in place. Some children might be out at home, but not at school, or be out with certain family members but not others. It’s very important to not out a transgender person, unless you have their permission to do so. Your gender identity is different than your gender expression. A person can identify as a female, and have a masculine gender expression. This might look like having a short hairstyle and wearing masculine clothing. That does not make a person transgender. In the same way that a male who wears pink shirts or even paints his nails is neither a woman, nor transgender. Being transgender is about your inward identity. Gender expression is about your outward appearance. They might match. They might not. How you express yourself outwardly might change from one day to the next. Your inward identity doesn’t change. People who are transgender don’t just wake up one day and realize this truth about themselves. They have struggled with it for a long time, whether they have been able to put words to it or not. Often, they have struggled in silence, and it has manifested outwardly in depression and anxiety. 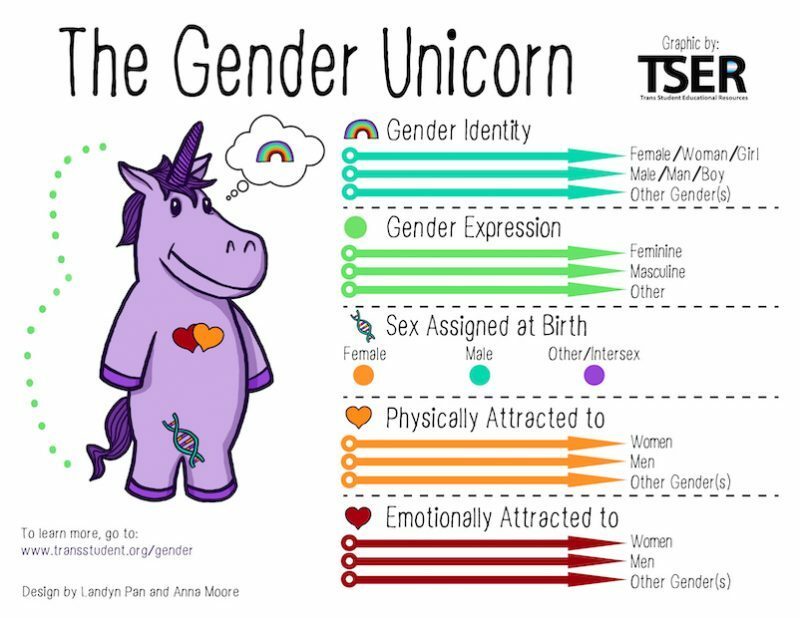 You can learn more about gender identity and expression at the TransStudent website. Now that gender identity is becoming more socially acceptable to talk about, and transgender topics are out in the open, we are seeing a surge of young children who are exploring where they fit on the gender spectrum. 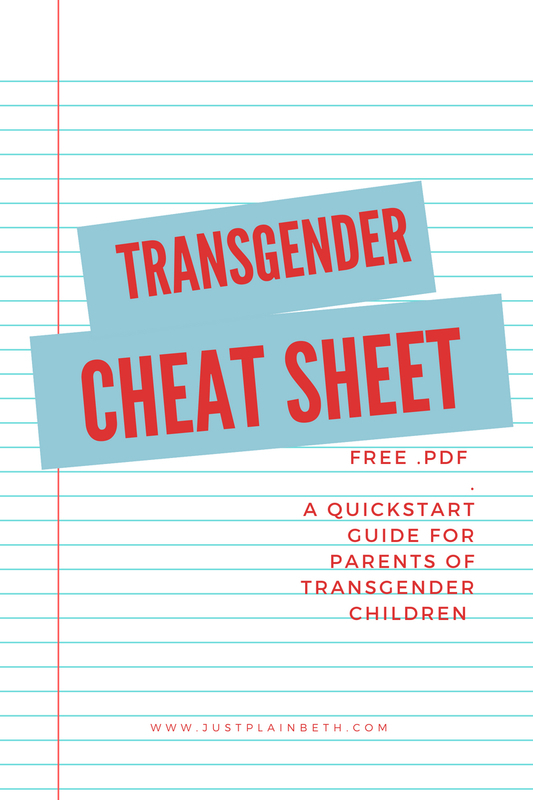 They may grow up and be transgender, which covers a broad range of gender identities, or they may just be sorting out what it means to live in their bodies. Let’s support them in whatever way we can. Feel free to grab my free “How to be an Ally” .pdf below. Previous Post New Year. New Start. Now What?